In an outrageous screed going after Trump titled “The Path to Autocracy is all too familiar,” the liberal propaganda sheet for the “Resistance,” attached a photo of “Hitler youth” gleefully burning books. Fully understanding that multi-billionaire Washington Post owner Jeff Bezos may himself be biased against Trump and may not grasp – or choose to ignore -- the escalating danger of such potentially violence-inciting pieces, there are still some well-respected “adults in the room” at the paper who most certainly do understand that threat. Not only are they obscenely insulting to the millions of Jews and others put to death by Hitler and his collection of Nazi psychopaths, but they are purposeful lies seeking to facilitate a desired political outcome for reasons of ideology. 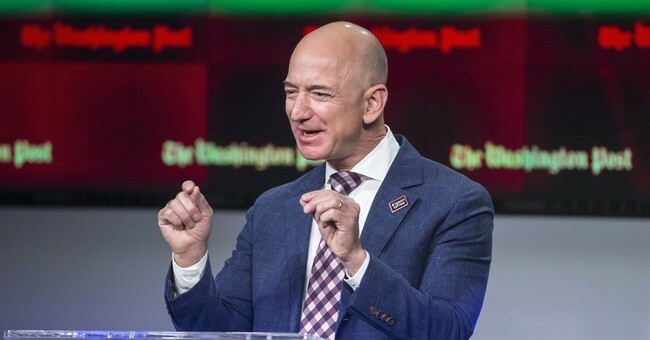 Unless they publically condemn it – which they should do immediately in the strongest possible terms – Jeff Bezos and the leadership of The Washington Post are signing off on a vile comparison of President Donald Trump to Goebbels. Every single one of them knows this is falsely dangerous partisan trash masquerading as “news” or “opinion” and yet they all remain silent. `Why? Does their own political bias and hatred of President Trump prevent them from being ethical, honest, and speaking the truth? Words do matter, and this writer and The Washington Post are counting on that. But at what eventual cost? This is not some Socialist anarchist group spot-welding these contemptable words and analogies to the President. It is The Washington Post itself comparing the President to a “Demagogue,” a “Dictator,” “Goebbels,” and “Hitler” himself. It is The Washington Post intimating that the “social and political forces that brought a murderous regime to life through a democratic system” are being recreated today. For the safety and the lives of American citizens, this treacherous rhetoric must stop. ***Douglas MacKinnon is a former White House and Pentagon official and an author.